wow!! surely colorful and i m sure both adults and kids will love it!!! awesome! I love how perfect the swirls are and that they are a pretty pink. The name caught my attention HC. I definitely want to try this recipe especially being a die-hard Nutella fan. they look very cute...and hazelnut is my fav flavor too! Love the pink frosting...cupcakes look so adorable!! I never baked anything with ground hazelnut, like the frosting ! Waiting for the remaining to post !! My 3 year old daughter was watching your site with me and shouted, 'ooh, zo mooi!!!!' :-). They are beautiful, your cakes! 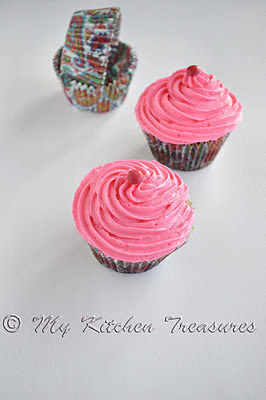 So pretty and cute looking cupcakes, with hazelnuts am sure this cupcakes would have tasted fabulous.. 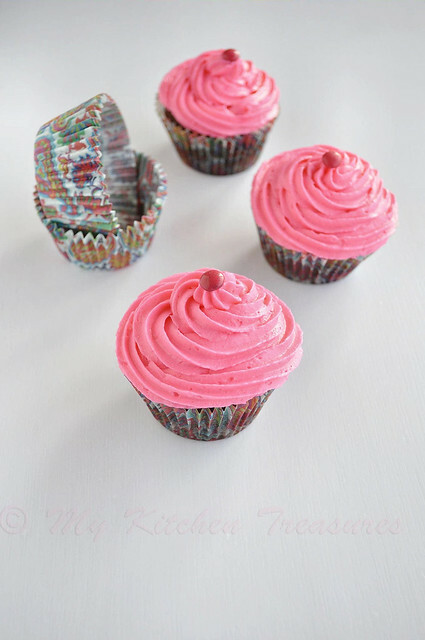 These are the cutest wee cakes ever - and the cupcake papers are so pretty. Pretty, very pretty! The swirls are making me salivate..
Luv the Swirl HC .Impressive recipe and clicks.Luv it. Love those cute colored cupcakes. 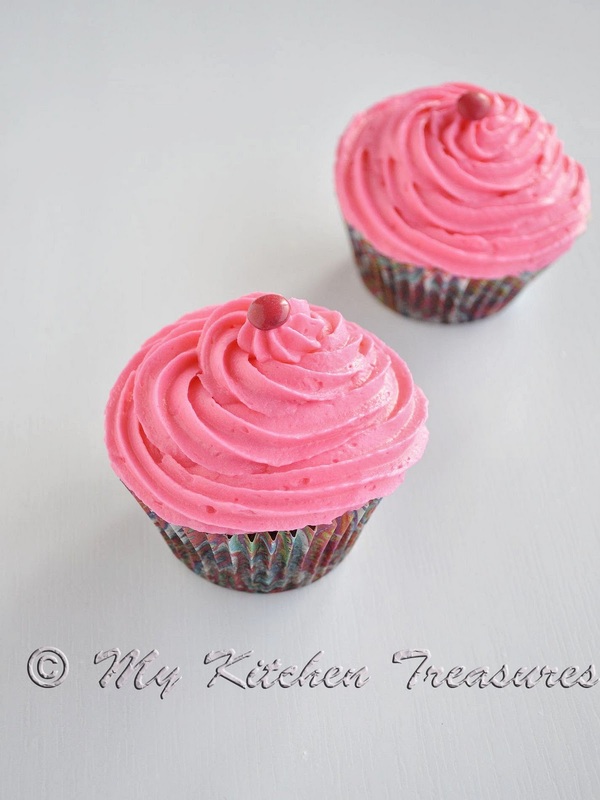 I haven't made many cupcakes before and I always have a hard time decorating.. i love the way you put your icing on top. So pretty! Wow, lovely cute cupcakes. Loved the colour and presentation...hazelnuts must have surely added to the taste of these delicious looking cupcakes. MMMMM,...Nearly to pretty to savour! How wonderful - loving the colour of the icing too! !